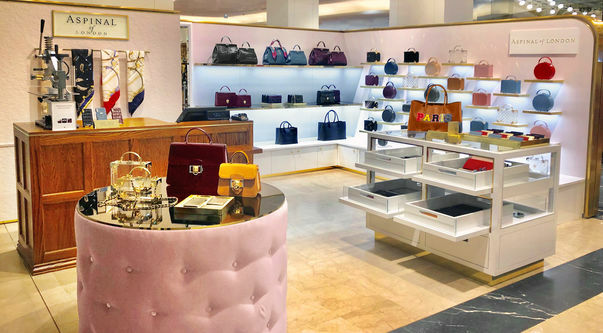 Until March 31st 2019, Aspinal of London is popping up on the luxurious ground floor of the Galeries Lafayette - the iconic Paris department store which first opened its doors in 1895. The boutique features plethora of our most coveted handbags and accessories, including classic pieces like the Mini Trunk Clutch, Trinket Box and Hat Box. 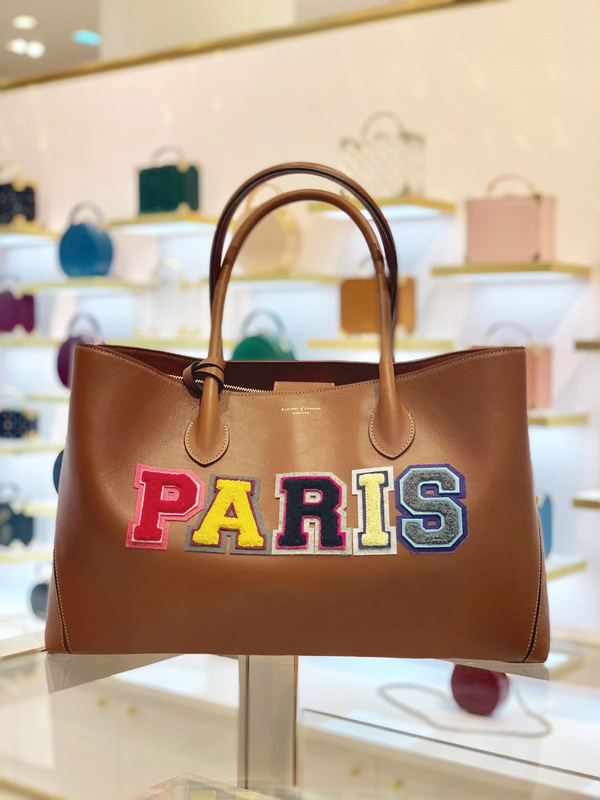 The Aspinal of London pop-up presents an opportunity for Parisian shoppers to explore some of the most iconic pieces from our womenswear collection, including handpicked handbags from the exclusive Giles x Aspinal collaboration. We're also presenting luxury accessories including travel essentials, silk scarves, small leather goods and more. Head instore to feel for yourself the supple leathers, soft suedes and varied textures which each piece is constructed of. Head in store to shop our new seasonal colourways - Evergreen and Bordeaux - as well as classic Autumn Winter pieces against the beautiful backdrop of the Galeries Lafayette. If you can't make it to the pop up shop, explore the full Aspinal collections of leather handbags and accessories online.